Welcome to the Liturgical Arts Journal -- or LAJ. By way of introduction, many of you will know already that in 2005 I founded another liturgically focused site, New Liturgical Movement (NLM). That site was and is dedicated to the discussion of anything and everything liturgical. In 2013, due competing priorities, I decided to effectively retire from my role there and passed on the governance and ownership of that site to some good friends and long time collaborators; people whose good work and good efforts continue to be manifest on the site to this very day. When I founded NLM it was founded on a non-polemical vision. This isn't to say that critique was absent, but critique was neither its primary mission nor its primary focus; the primary mission and focus was instead on what we were for not what we were against; when critique was made, for there is a place for it, the attempt was to always make it constructive and rooted in principles. This is the approach and model that you can expect to find here on the Liturgical Arts Journal as well. 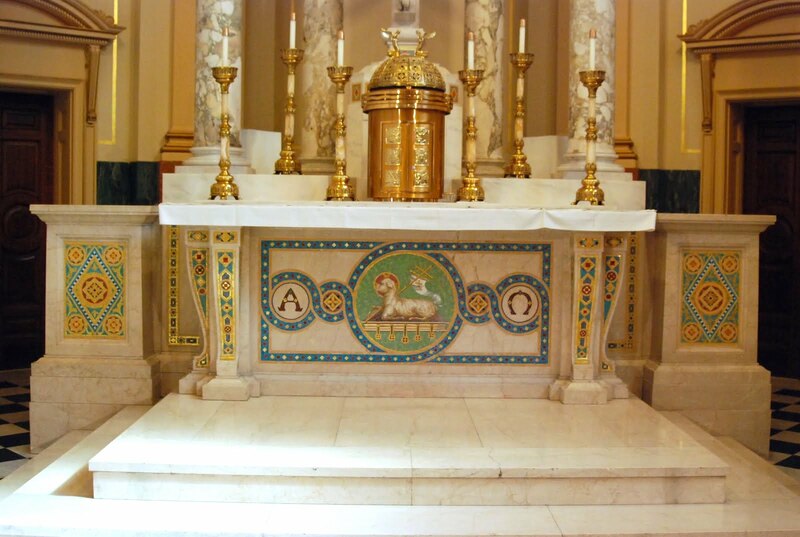 Our focus here will be on both historical examples of the liturgical arts down through the centuries, along with features and reviews on current craftsmanship being executed today by present day liturgical artists and craftsmen that we believe exemplify beauty, continuity and nobility. Continuity with tradition will be key, though this isn't to say there will not be room for development and contemporaneity. For many years I have spoken of "Other Modern" -- a manifestation of liturgical art which exemplifies the two C's of contemporaneity and continuity simultaneously; in short, modernity (not 'modernism') and tradition merged into a successful, harmonious whole. These too will find a voice and place here alongside our most traditional manifestations. LAJ will seek out noble beauty, being interested neither in pious clutter and overly-sentaimentalist liturgical art on the one hand, nor modernist minimalism and brutalism on the other. Instead it will seek out manifestations that are characterized by beauty, nobility, Romanitas, gravitas and so on. In summary, what you can expect from LAJ will be a continuation of the liturgical arts conversation I had started back on NLM, focused on principles, history and practical applications today.